Chisinau (Moldova), Dec 7 : Moldova's parliament Monday failed to elect a new president in a critical showdown vote, intensifying a political crisis in the former Soviet republic. A total of 53 MPs in Moldova's 101-seat legislature voted in favour of candidate Marian Lupu, put forward by the country's pro-Europe ruling coalition. But 48 MPs loyal to Moldova's Communist Party abstained from voting and left the parliament shortly before the poll. They left Lupu eight votes short of a 61-member majority necessary for a presidential candidate's election under Moldovan law. Chisinau - Moldova's parliament on Tuesday failed to elect a new president, prolonging a constitutional crisis in the country. A total of 53 MPs in Moldova's 101-seat parliament voted in favour of Marian Lupu, a candidate put forward by a centre-right ruling coalition that came to power after elections this past July. Under Moldvan law, a minimum of 61 votes is necessary to elect a new president. Moldova's opposition Communist Party, holding the balance of 48 seats in parliament, boycotted the showdown vote. Chisinau - A suspected hand grenade exploded in a crowded Moldovan city square injuring 40, the Infotag news agency reported Thursday. The blast took place late Wednesday evening at the Arch of Triumph monument in the centre of the Moldovan capital Chisinau. Metal fragments from the explosion left 37 victims hospitalised, Internal Affairs Minister Viktor Katan said. Most of the victims were Chisinau youth, the majority receiving injuries to their legs or arms, according to the report. Russia's Lavrov: US idea to base radars in Ukraine "extravagant"
Chisinau - Russian Foreign Minister Sergei Lavrov on Friday described a recent US suggestion that portions of an European anti- missile radar system might be based in Ukraine "extravagant and rather unexpected." Lavrov made the remarks carried by the Interfax news agency in response to a journalist's question during a meeting of Commonwealth of Independent States (CIS) state heads, in the Moldovan capital Chisinau. Chisinau - Moldova's ruling coalition has agreed on cabinet assignments for the country's new pro-Europe government, the Infotag news agency reported Wednesday. Members of the largest party in the ruling coalition, the market- reform-supporting Liberal Democratic Party of Moldova, was set to get the prime minister's job. The party was also set to gain the leadership of the national police and the ministries of finance, justice, health and foreign affairs. Chisinau - A comprehensive treaty with Romania resolving border and trade issues is the top foreign policy priority of Moldova's newly elected pro-Europe government, a senior official said Tuesday. "We need to get signed a basic political treaty (with Romania) to exclude speculation about relations between the Republic of Moldova and Romania," Vlad Filat, the ruling coalition's nominee for the post of prime minister, said in a ProTV Chisinau television interview. Chisinau - The top candidate for the position of Moldova's prime minister on Monday said he would work for "radical" reforms to government if elected, according to an Infotag news agency report. "We will change the role of government completely," said Vlad Filat. "But we must do it in a transparent manner." Chisinau - Moldova's acting president Mihai Gimpu on Wednesday said the new ruling coalition would neither attempt to join NATO, nor try to return the country to Romanian control. He made the comments to Moldova's PROTV television channel. Gimpu, who is also speaker of parliament, took over as acting president after Vladimir Voronin resigned earlier this month. A four-party alliance of centre-right parties recently elected to power in Moldova has no intention of abandoning the country's traditional neutral stance between Russia and NATO, he said. Chisinau - Moldova's ruling coalition and the opposition Communist Party edged toward finding common ground on Monday, with officials from both sides making declarations supporting integration with the European Union, the Infotag news agency reported. 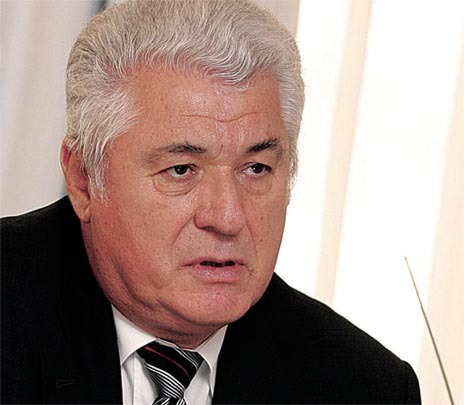 Mihai Gimpu, the newly elected parliament speaker, said in a radio interview that his faction's top priorities were reduction of poverty and tying Moldova's economy closer to Europe's, while retaining Moldovan political sovereignty. Chisinau - Vladimir Voronin, the Moldovan president and head of the country's Communist Party, quit his job as chief executive on Wednesday, shifting the long-term political stalemate in the former Soviet republic to the legislature. "It is true, I will only be fulfilling the role of a simple MP in the future," Voronin told reporters from the Infotag news agency. "I have resigned as president." Chisinau - Moldova's new ruling coalition will make cancellation of visa requirements for Romanian citizens a top order of business, a senior official said Monday. 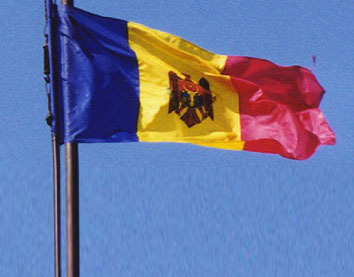 The four-party majority controlling Moldova's parliament considers visa-free travel for Romanian nationals a "top priority," said Markian Lupu, chairman of the Democratic Party of Moldova (DPM). National elections July 29 gave the DPM and three larger pro- Europe parties a 53-seat majority in Moldova's 101-member legislature. Chisinau - An alliance of Moldovan pro-Europe parties united on Saturday to form a new ruling coalition, the Infotag news agency reported Saturday. The four Moldovan political parties, all in the opposition prior to a July 29 national parliament vote, are led by the Liberal Party and the Liberal Democratic Party, and collectively control 53 seats in the former Soviet republic's 101-member parliament. Minsk - The US should become an active member of a European Union programme aimed in part at pressuring authoritarian Belarusian President Aleksander Lukashenko to be more democratic, two Belarusian opposition leaders said Friday. Washington should "join efforts (with the EU) in the wisdom and effectiveness" of the EU's Eastern Partnership programme, wrote Belarusian opposition leaders Stanislav Shuskevich and Ivonka Survilla, in an open letter to US President Barack Obama. Chisinau - Parliamentary elections in the former Soviet Republic of Moldova were mostly democratic, said international election observers from the Organization for Security and Cooperation in Europe (OSCE) on Thursday in the Moldovan capital Chisinau. The OSCE however criticized Wednesday's elections, the second this year, as being marked by intimidation of voters and obstacles set before the opposition. In addition, according to the OSCE, the state-controlled media was often unbalanced in its reporting. Chisinau - The pro-Western opposition was ahead of the governing Communists in parliamentary elections in Moldova, according to initial figures released by the Central Electoral Commission early Thursday. After more than three-quarters of the votes had been counted, the Communist Party was on 45.9 per cent. That would mean the Communists, led by Moldova's President Vladimir Voronin, could lose their overall majority which is needed to form a government. Chisinau - Moldova's ruling Communists and the pro-Western opposition each expressed confidence in victory Wednesday in the country's second parliamentary elections this year. Meanwhile, outgoing President Vladimir Voronin said the new vote ought to help rescue the former Soviet state from its serious political crisis. The European Union-oriented opposition is seeking a parliamentary majority that would allow it to put an end to the Voronin era and to choose a non-Communist as the new president. Chisinau, Moldova - Voters in the former Soviet republic of Moldova went to the polls Wednesday in parliamentary elections, nearly four months after bloody street riots followed a Communist election victory. The liberal opposition, which is advocating entry into the European Union and closer ties to the West, is seeking to end eight years of rule by President Vladimir Voronin's Communist Party, which has allied itself with Russia. Chisinau - A Moldova forces helicopter working for NATO in Afghanistan was shot down Tuesday, the Infotag news agency reported. Some, but not all, of a six-man crew of Ukrainian nationals died in the morning incident, according to statement from the Chisinau air charter company Pecotox-Airi. A missile or rocket caused the crash, according to the report. The Mi-26 heavy helicopter and crew had been performing humanitarian aid missions, officials at Moldova's state civil aviation administration said. Chisinau - Moldova's government on Tuesday set July 29 as the date for fresh parliamentary elections, after a previous poll in April resulted in riots. President Vladimir Voronin signed an executive order setting the date for the next contest, with political tensions remaining high in the former Soviet republic. The April 5 election gave the Communist Party a 60-seat majority in the 101-member parliament, prompting accusations of an electoral fix and riots in which one person was killed and more than 300 injured. Chisinau - Moldova's Communist-ruled parliament on Wednesday failed to elect a new president, deepening the political crisis in the former Soviet republic. A total of 60 Communist Party members of parliament in Moldova's 101-seat legislature voted in favour of Communist candidate Zinaida Greceanii, one ballot short of the necessary 61 vote support required to select a chief executive.